Click below on the pre-made easy search links about Blue Mountain Beach real estate for sale. Blue Mountain Beach is a small community located on Scenic Highway 30a. The easiest access is from Highway 98 is Highway 83 until you hit the stop sign at 30a. My preference is always to get on 30a as quick as possible and slow things down a bit. This scenic views of South Walton Beach never get old, even when you see them every day. There are bathrooms, showers and lifeguards as well as public parking at the end of Highway 83. 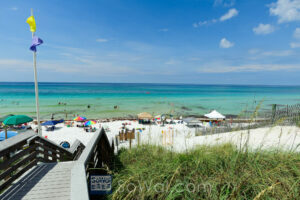 Blue Mountain Beach has the highest elevation in South Walton. Redfish Village on the corner of 30a and Highway 83 has unique shops, eateries and luxury condos.